Nel was interested so posting some stuff here! 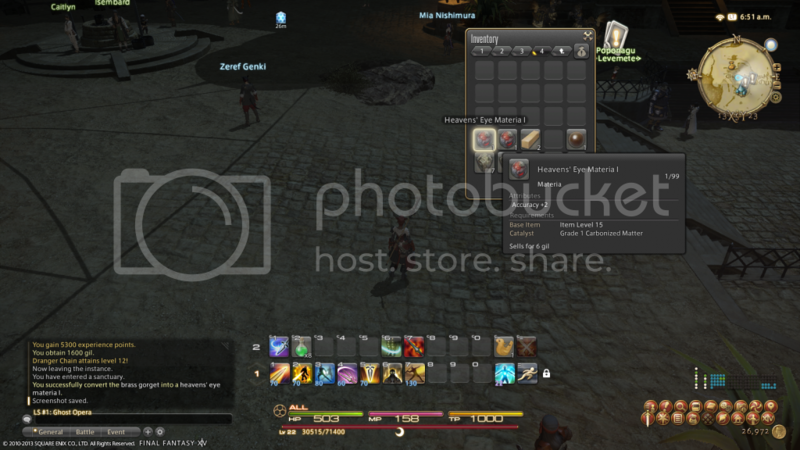 What I'll do then is take some pictures of some other actual UI elements and stuff. 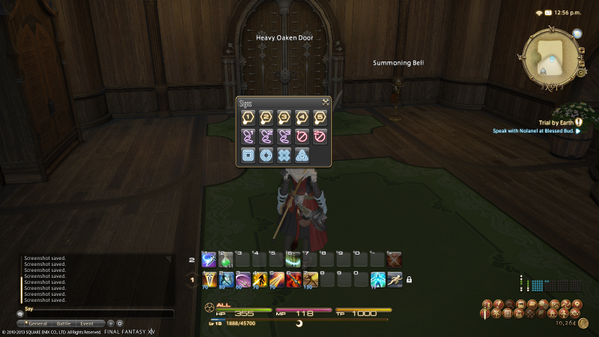 Some other info is that getting multiple classes leveled is quite beneficial. You get to use 1 other class ability for every 5 levels of your current class. 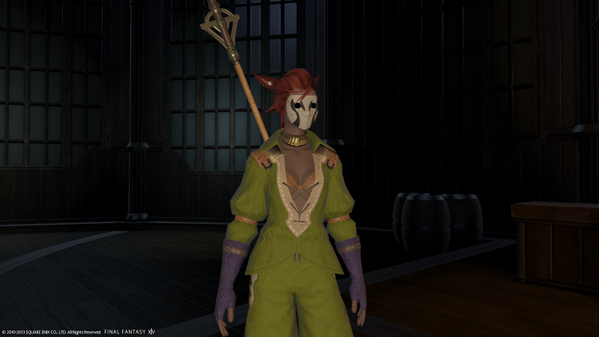 Right now I'm Lancer 18 and Conjurer 3. 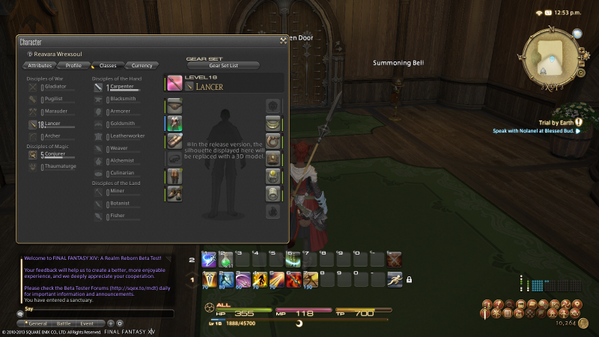 So as a Lancer I can use 3 Conjurer abilities, or as a Conjurer I can use one Lancer ability. And the cross class abilities don't all have to be from the same class. 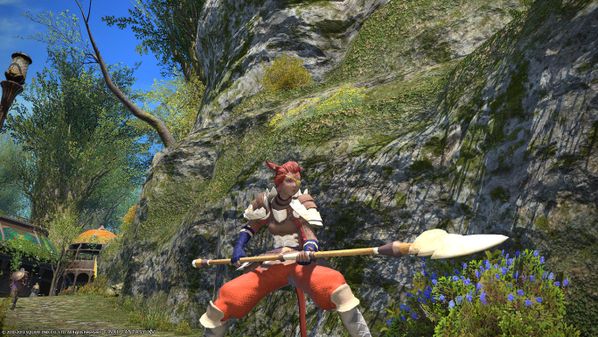 Crafting/gathering classes level up just like the Melee/Casting classes so that's rather cool. I'll get some more photos incoming then. Graphics look really nice, and the idea of switching classes seems pretty unique and easy. 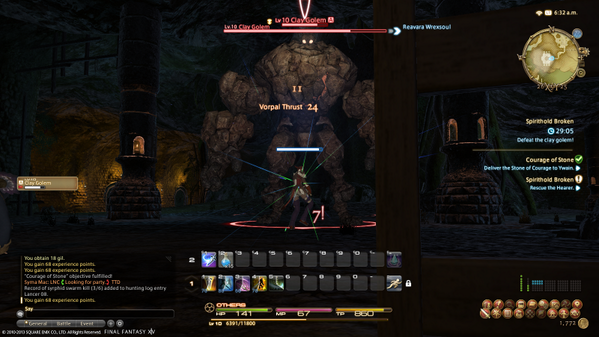 How does the combat feel compared to the fast pace type stuff of WoW? It's fun actually, it's still fast paced but feels so different. Right now with my lancer skills when I'm in a group I need to flank an enemy to use Heavy Lance on, it does damage and if I'm on the side I get a 10s buff giving me +10% damage. And then I spam another that does some dmg, but extra dmg if I'm behind. I can also use my first ability in a combo with another move that does extra damage if it's combo'd. Like I don't HAVE to use the first, before the other one, but it just does more damage that way. I just got an ability I have yet to try though, it's rather awesome. It's a buff that makes my next physical attack an auto-crit, and then it heals me 100% of the damage (up to 20% of my max hp). So I'll start first with just a simple picture of the character screen but in this case I have the "Classes" tab open so I can view the levels of all the classes I have learned. This one is just the General tab of abilities. Stuff everyone gets at all times. Actions tab is the class skills. In this case those of the Lancer. Then the traits (passive abilities). These change per class as well. 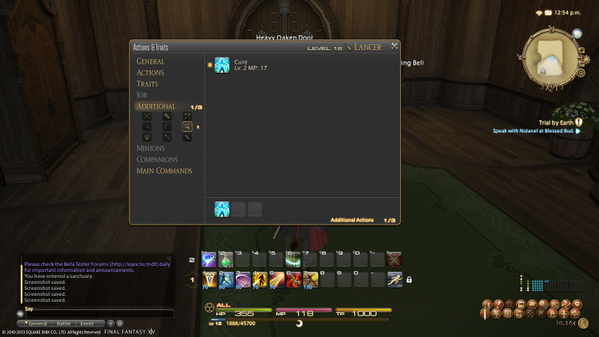 Then the "Additional" tab allows you to select cross class abilities. 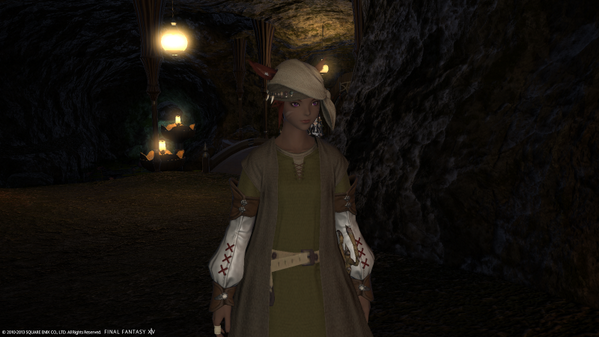 Right now I only have Conjurer as a second class. 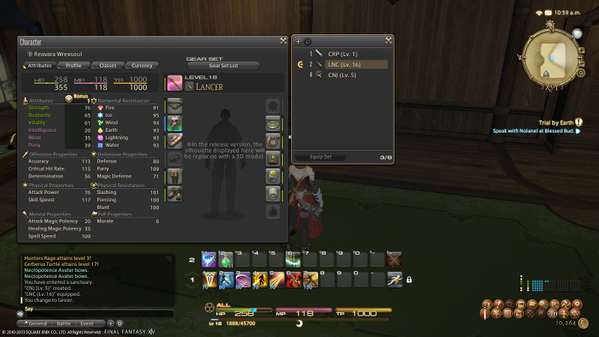 Since I'm level 18 Lancer, I can have 3 cross class skills but the attack magic spells of the Conjurer can't be used, so I'm left using only Cure. The quest log! 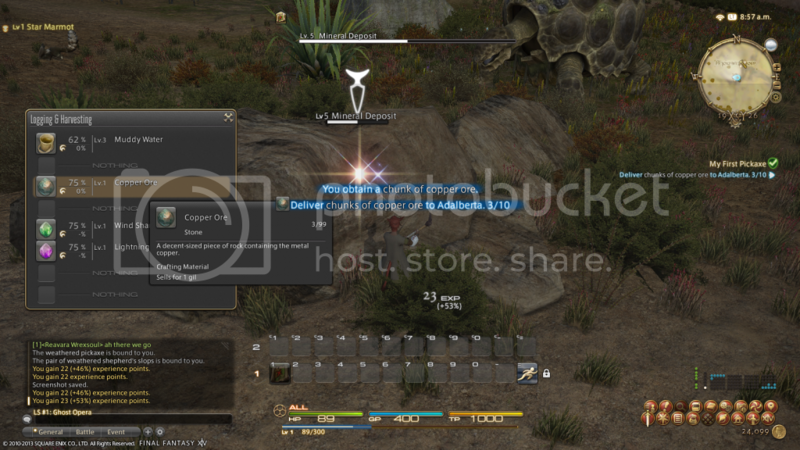 The highlighted quest is for the Conjurer (indicated by the branch icon on the left side of the quest name). 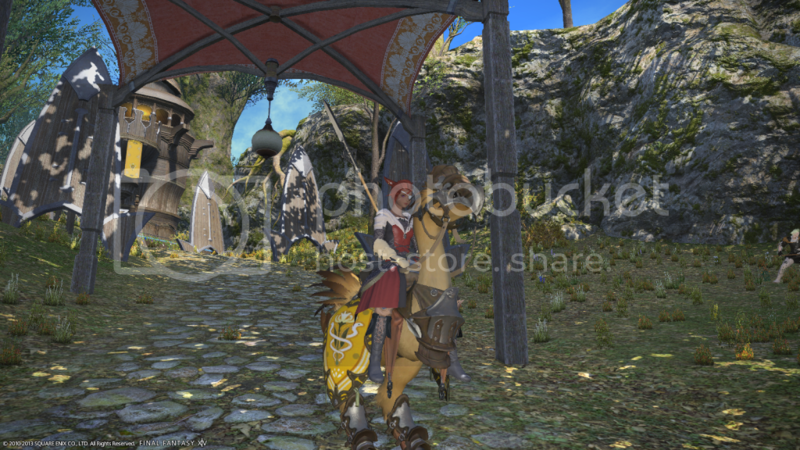 While the other quest here is a main story quest according to its icon. Then a picture of the Armoury Chest. This can be used to store ALL your gear, 25 pieces of each type. In it I'm highlighting my starter Saw for the Carpenter class. If I would equip the saw, I'd suddenly be a carpenter instead of a Lancer! So awesome this class system. 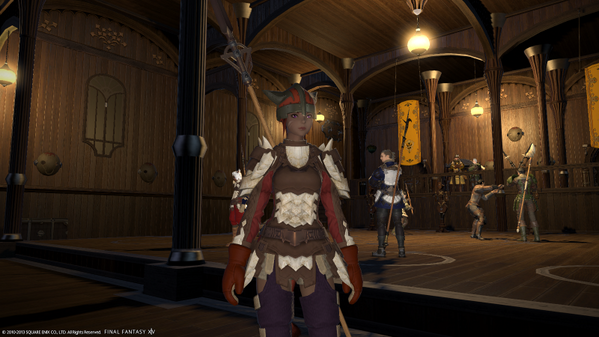 In FFXI you'd have to go back to your room to change classes but that's not the case here. 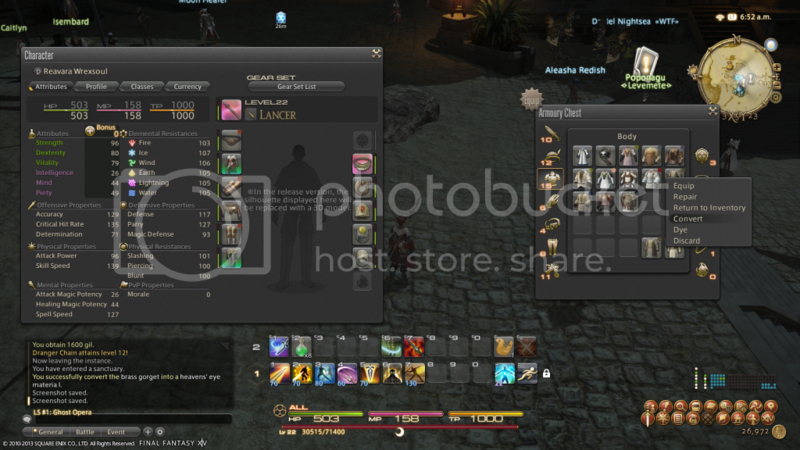 Next up are some shots of the Inventory. You get 100 slots (25 x 4 tabs) for general items. You can even right click and select to move weapons/gear between your Armoury Chest and the Inventory at will. 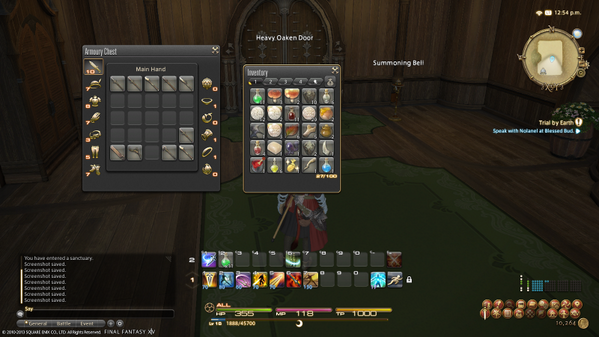 The second picture is of the elemental crystals used in crafting. This is great since they're like a currency and don't take up inventory space. Last is a picture of the Key Items. All quest items go here. 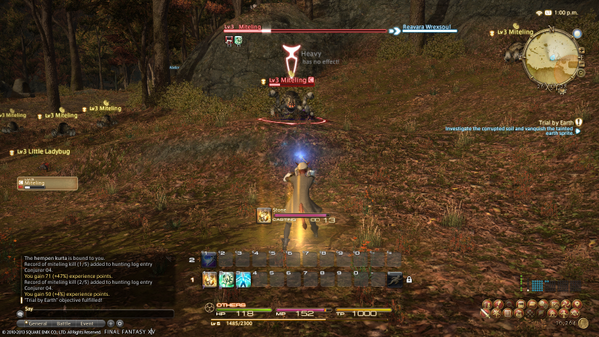 Every non-crafting/gathering class has a Hunting Log. The hunting log shows you a list of enemies and a number of them to kill, fulfilling each section will give you bonus XP and then a LOT of bonus XP for finishing the entire rank. 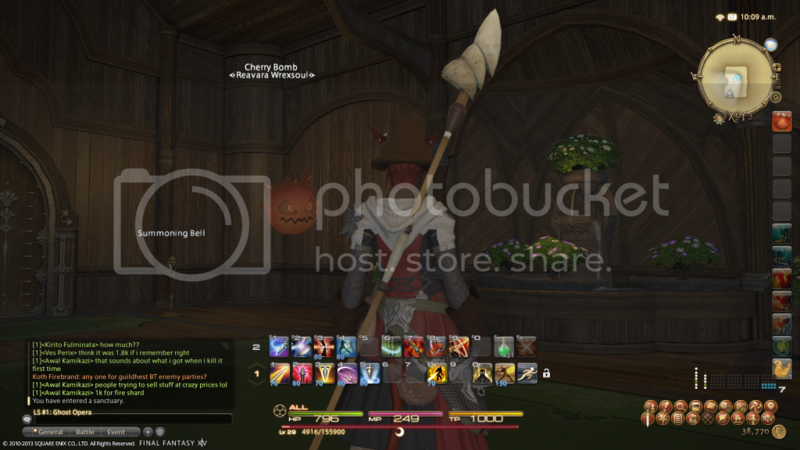 Crafting has its own log. 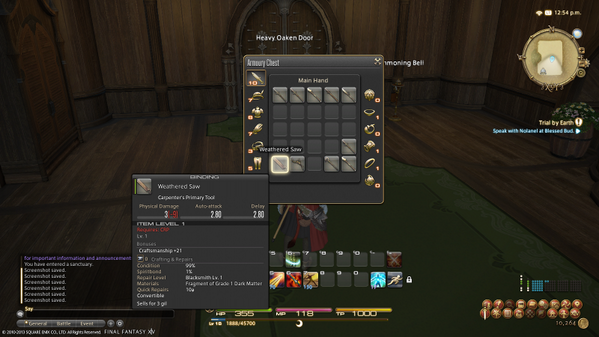 You get bonus XP for the first time you make an item, but it's also how you select what you're going to make. 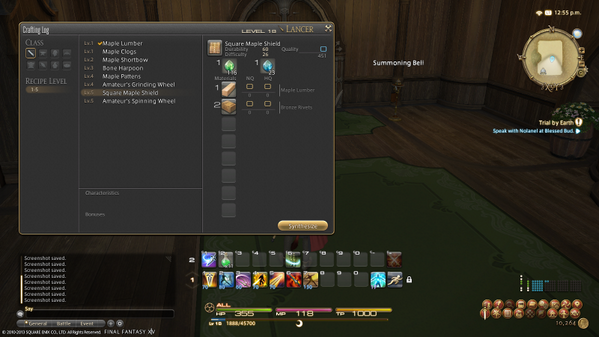 You can select normal or high quality ingredients to be used and it shows you how hard it will be to make the item. 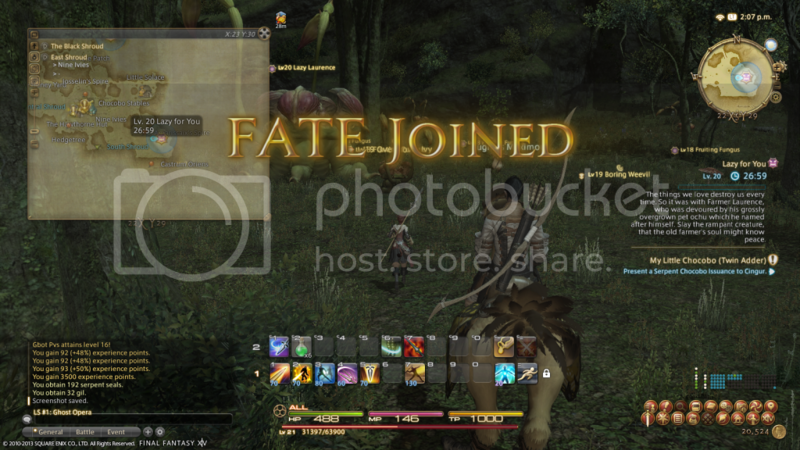 This one is a simple screen but you can bring this menu up to mark targets just like we do in WoW. Top row is "kill order" marks, the chains are "bind" (cc), and then 2 marks for "ignore this target" with 4 more to be used for whatever you want. FATEs are dynamic events to put it basically. 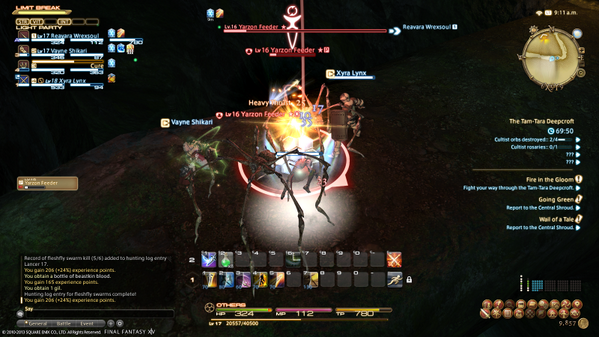 On the map will appear a spiky evil face in the middle of a blue circle that indicates a FATE. (can't even find an image of it. I'll take on tomorrow). Mousing over it will give you the name of it, the recommended level and how much time is left. 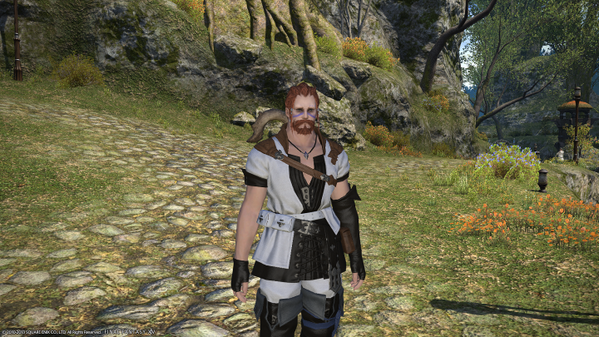 Some FATEs just pop up, some are shown on the map and initiated by talking to an NPC. It's not all just kill x mob that spawns either. Some are certainly like that. 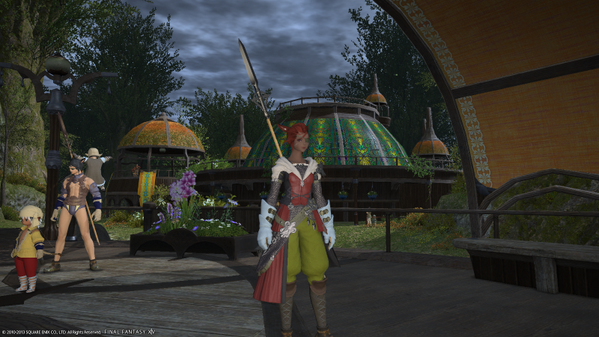 There are ones to defend NPCs, lead NPCs on an assault into an area. 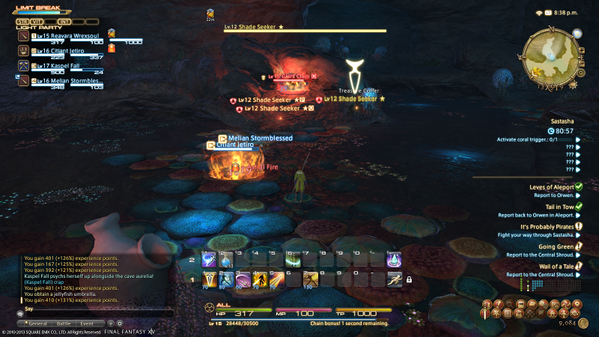 Some of the killing ones are just to kill regular spawns, some are to kill a boss mob. I had one where I had to kill mobs and they may "drop" (it was auto-looted like LFR drops) an item which had to be run to the NPC collecting them. The video talks about one on a town where the mobs kidnap NPCs and if you win it can lead to fighting 2 bosses, but if you lose you can then go on a FATE to rescue the kidnapped NPCs. So they come in various sizes. The FATEs automatically scale to the number of people participating, so they can't just be brute forced. 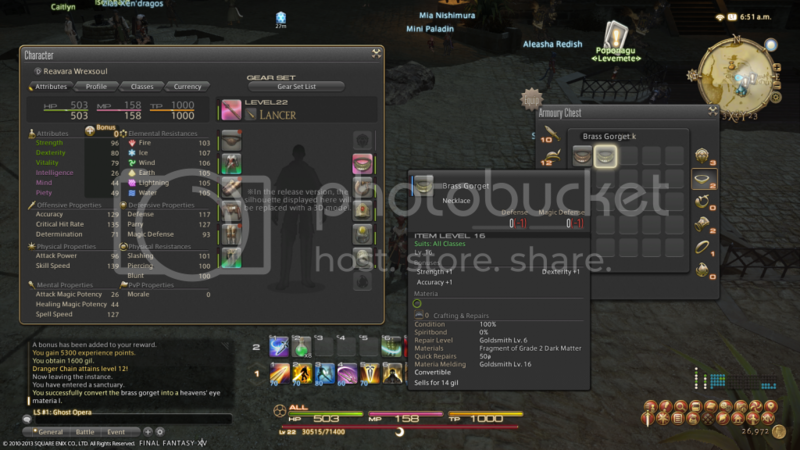 You also get rewards of xp and gil based on your participation. So no standing in a FATE and getting free rewards. You CAN however heal for participation, rather than kill mobs. If you are lower than recommended level you will be warned and will receive lowered rewards. If you are too high of a level you will get nothing, UNLESS you choose their spiffy "Level Sync" to be reduced to the max level for he FATE. I think these things are great. 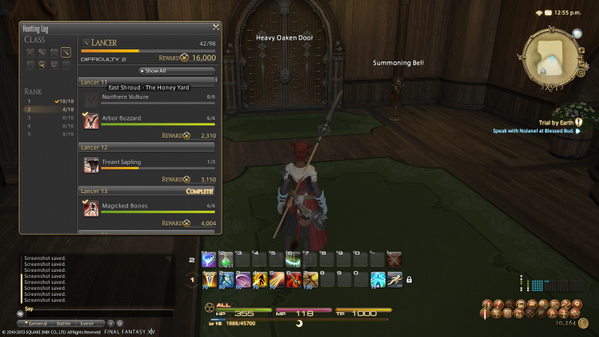 Along with the fact that this relaunch has real quests in it as well. 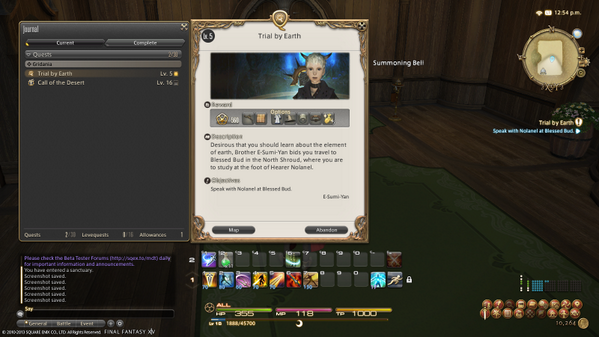 On the right side there you'll see that it gives the description of what's going on in the FATE and the progress bar for how far along it is. 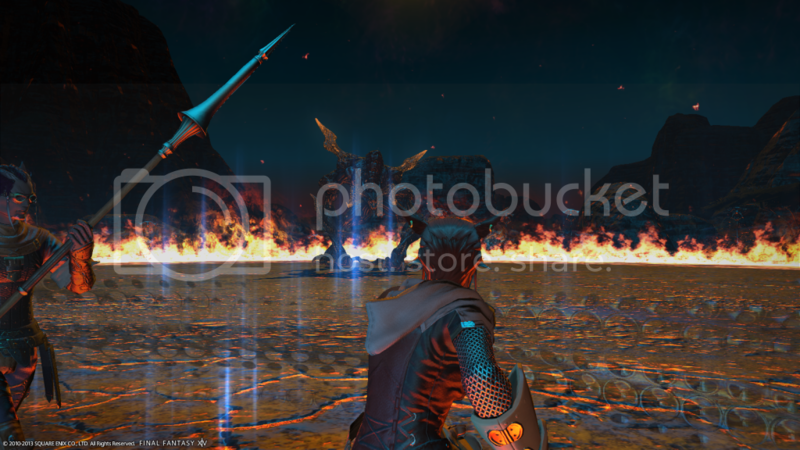 Necessary image of the fight with Ifrit! Here's a shot of me trying out Mining. There are still nodes around like in WoW, but from what I can tell, they're personal. Like even if someone is standing over one and mine's it, they'll leave and it'll still be there for you. 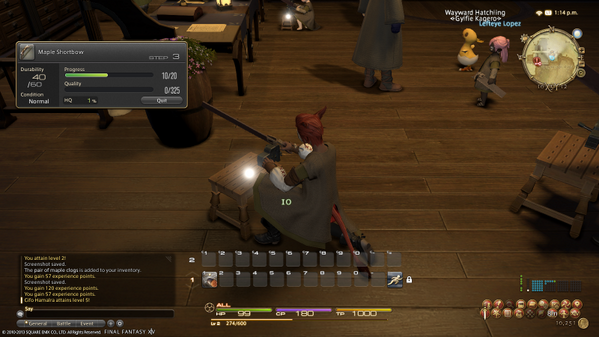 So this menu is what happens when you right click a node. You get to select which item you're attempting to mine. On the left side is the % chance of success, and you'll get skills to increase that % chance. So you can go for specific items, or you can choose easy items for guaranteed XP. Also as a forager you end up with a stealth ability to allow you to go out in the world w/o being killed easily by nasty creatures. 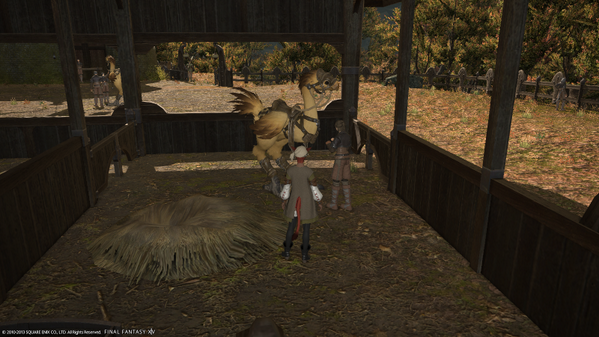 I got my very own chocobo! Open beta is live this morning. All you have to do is hit the website: http://t.co/71PU5yvuty and sign up. You will be in instantly and not need to even find an e-mail about it. Let me know when you do a Live Stream, also I was thinking about getting this for PS3 instead of Comp.